The jewelry of Italy, with its sensual beauty and extraordinary craftsmanship, is world renowned. Many say Italian metalworking is the epitome of perfection. The best of the best. We tend to agree. Which is why we have dedicated the last several years to bringing the very best in Italian design to our customers. We found an Arezzo-based company that has spent generations perfecting perfection. The Perfetto Necklace is proof of their success. 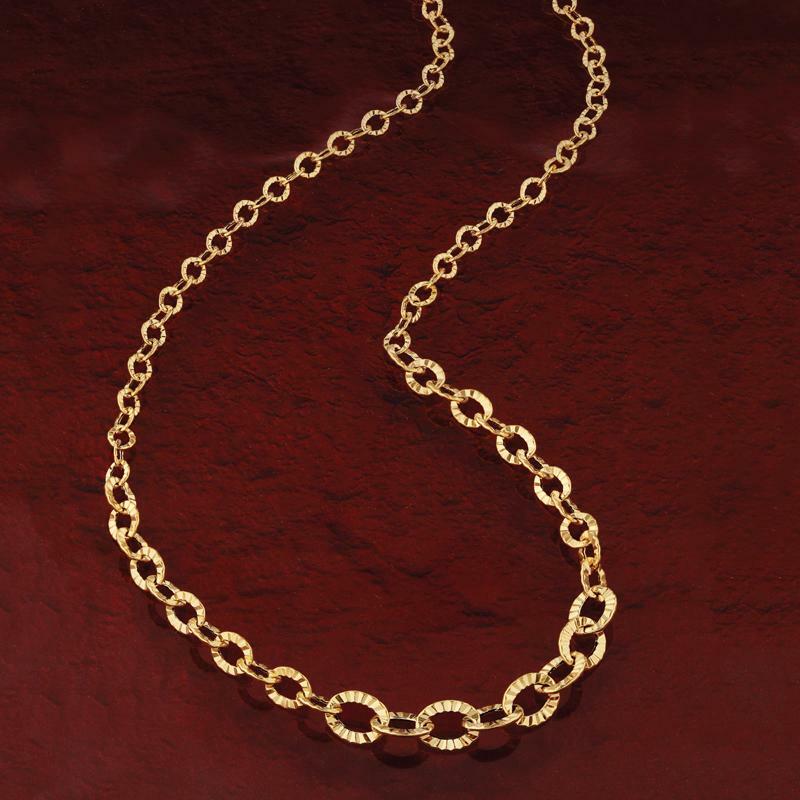 Fashioned of 14K gold links arranged in a graduated style, this necklace exudes a luxe look while being incredibly featherlight. Each link has been diamond cut bringing out every ounce of luxury contained in this timeless precious metal. This is your golden opportunity to own spectacular Italian gold design at an almost unheard of price for perfection.